Nothing beats a hearty Ukrainian meal! Please check out our Dinner menu and Take Out menu for information on the delicious food available for purchase. 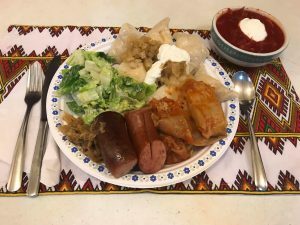 Our Friday Night Supper was recently featured on the Ukrainian Vancouver website. If you’re on Facebook, check out our event.